An API gateway handles load balancing, security, rate limiting, monitoring, and other cross-cutting concerns for API services. 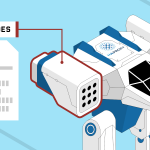 Read on to learn how HAProxy Enterprise excels as an API gateway. “Danger! 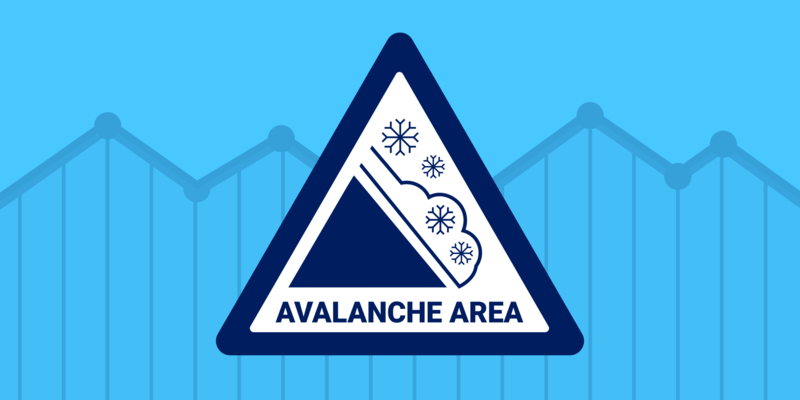 Avalanche Area” is a sign you’ll see when you drive through some parts of Colorado. Looking at the surrounding mountains in winter, you get the feeling that you’re creeping by sleeping giants that might pour down a surge of snow at any moment. If that weren’t enough, driving alone through such a place can seem like if you were to be buried, would anyone ever know? In your work as an IT operator, the weight of managing modern IT systems can give you the same, anxious feeling. The complexity that builds up in infrastructure is like snow forming on a mountainside. If you get buried, how long will it take before people know? You’ve got to offload complexity wherever you can! The specific form of complexity that we’ll address here is of connecting internal microservices to the outside world. Internal functionality, such as authentication, retrieving customer data, fetching product details, and taking payments must be exposed to your frontend clients. This is accomplished by defining application programming interfaces (APIs) that express these function signatures. The challenge is that having clients connect directly to backend APIs creates tight coupling between the frontend and backend components, which is difficult to manage and scale. The way to handle this, and even get some observability over who’s calling what, is to consolidate the way that external clients access your APIs. Combining disparate APIs behind a single, unifying URL is the purview of an API gateway. In this way, clients can maintain a single reference to the gateway and it will route them to the right place. You also get a smaller area that needs to be exposed to the Internet. An API gateway is a layer of software between the client and backend services that routes requests intelligently. HAProxy, the world’s fastest and most widely used software load balancer, fills the role as an API gateway extremely well. In addition to routing API calls for /cart or /catalog to the proper backend services, it also handles load balancing, security, rate limiting, monitoring, and other cross-cutting concerns. In essence, by placing all of your APIs behind a shared HAProxy instance, these requirements can be offloaded. The API gateway becomes the orchestration layer that forwards requests so that frontend code and backend API endpoints are not tightly coupled. All devices can point to a single domain and HAProxy will handle the routing. Let’s explore some of these features in more detail. The primary role of the API gateway is to route an incoming client request to the appropriate internal service. HAProxy can route based on any information found in the HTTP request, including portions of the URL path, query string, and HTTP headers. In the following example, our HAProxy configuration sets up a frontend that accepts incoming requests on port 443, checks their URL paths for /cart and /catalog, and then forwards them to the correct backend. If you are managing multiple website domains, then you can check the Host header when determining how to route requests. Here’s an example that will segregate API requests depending on the domain. When accessing, for example, api.haproxy.com, it will only route requests for /catalog and /cart. B2B partners that access partner.haproxy.com can access the /inventory API. Note that HAProxy is extremely flexible and powerful and the examples provided are just simple use cases. HAProxy can apply more complex logic for HTTP routing and request handling. Did You Know? The base fetch method returns the concatenation of the Host header and the path part of the request, which starts at the first slash and ends before the question mark. To simplify the process of adding or removing path-to-backend associations, you can enable the HAProxy Enterprise “lb-update” module. This module can read the contents of the map file and refresh the ACLs during runtime, without the need to reload HAProxy. In order to improve the performance and resilience of each API endpoint, it’s recommended to replicate the service over several nodes. Then, the API gateway will balance incoming client requests among them. You can adjust the load balancing algorithm to suit the type of service and protocol. In the following example, the mobile API backend is balanced across two nodes using the roundrobin algorithm. Load balancing your API endpoints improves performance and creates redundancy. Note that you can choose the most appropriate balancing algorithm on a per-backend basis. 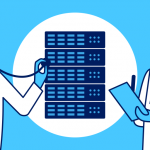 You can also define active and passive health checks for your servers so that HAProxy automatically reroutes traffic if there’s a problem. In the following example, we monitor the health of our servers by sending GET requests to the /health URL and expecting a successful response. The option httpchk directive sets the method and URL to monitor. If you append \r\n you can add additional HTTP headers to this request. 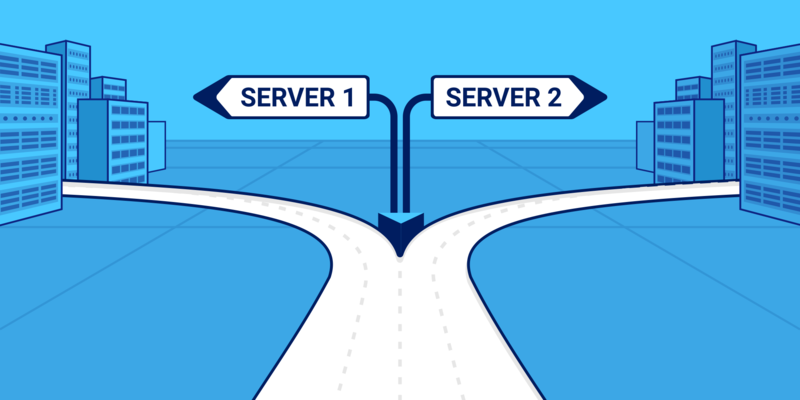 A check parameter is added to each server to enable the feature. Being able to watch a URL endpoint works well with tools like Prometheus that already expose a /metrics web page used for scraping metrics. 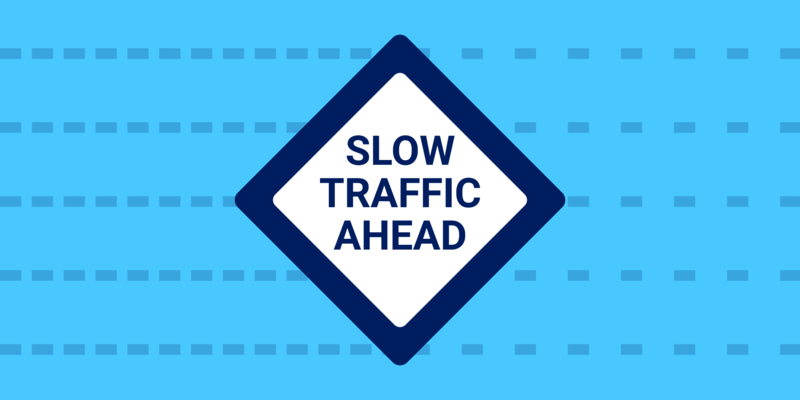 The HAProxy load balancer stands in a strategic position, between your clients and services, ensuring that no backend nodes are saturated by spikes in traffic. Without this, all requests would be forwarded to the backend servers, risking high wait times and timeouts. In this case, up to 100 connections can be established at once to a server. Any more than that will be queued. This relieves strain on your servers, allowing them to process requests more efficiently. HAProxy is highly proficient at managing queues of this sort. You may want to limit the number of requests a client can send to your APIs within a period of time. This might be a to enforce a quota for various tiers of customers. To be allowed to send more requests, clients could subscribe to a higher-priced tier. In HAProxy, stick tables can be used for such a purpose. You can track clients by IP address, cookie or other means such as API tokens passed in the URL or headers. In this example, the client is expected to pass a URL parameter called apitoken and is limited to 1000 requests within 24 hours. The period is set with the expire parameter on the stick-table directive. Now, as I make requests to the site, passing the URL parameter, apitoken=abcdefg, the count of HTTP requests is incremented. I can see this by logging into the server via SSH and querying the Runtime API. In the following example, I’ve made 12 requests using my API token. When clients go past their limit, they’ll receive a 429 Too Many Requests response. 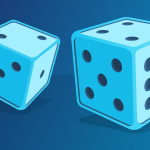 Check out our blog post Introduction to HAProxy Stick Tables for more information about defining stick tables and other examples of rate limiting. Optionally, instead of a daily limit as used above, you can also do it based on the rate of the requests. This acts as a security feature to prevent abuse or clients with runaway processes. The following example allows a client to make no more than one request per second. HAProxy is very famous for the level of details it provides on the traffic it processes. There are two main features: the statistic dashboard and the logs. Based on all the information provided above, it is possible to build reports and to figure out when and where problems are occurring (e.g. Is it networking? The application? A particular server?). 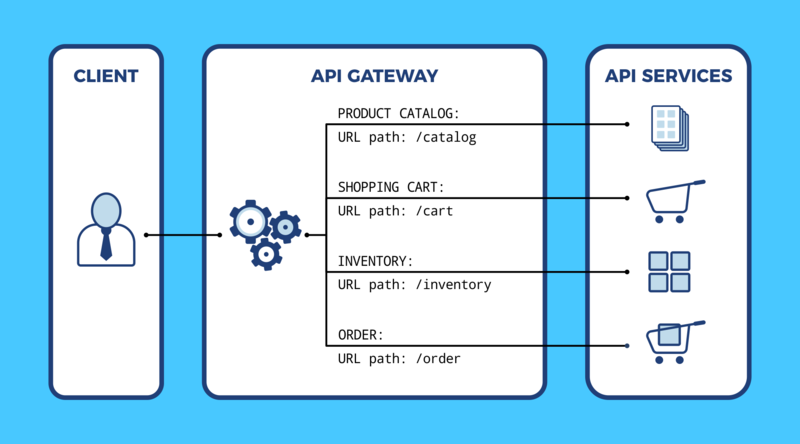 In this article, you learned what an API gateway is and how it can simplify connecting microservices to external clients. You also saw how HAProxy load balancer works as an API gateway: managing routing, load balancing, rate limiting and other complexities. Please share your experiences using HAProxy as an API gateway in the section below! 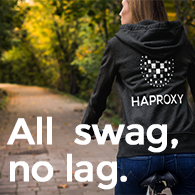 Contact us to learn more about HAProxy Enterprise or sign up for a free trial.